Mobile Apps Portfolio The bulk presence of mobiles in today's market has influenced and transformed most of our lives and businesses. Especially, iPhones, the next-gen smart. 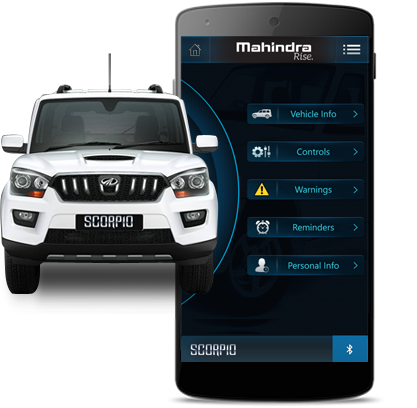 Blue Sense app, developed for the Mahindra Scorpio delivers the technology needed to control the infotainment system of the Indian automobile giant Mahindra's volumes pulling SUV. Built on Android and Windows Phone 8 platforms, the app lets users to control the audio and air conditioning system of the vehicle. Users can also receive alerts on key aspects that need regular monitoring like low wheel pressure, unlocked doors, etc. Synchronizes with the infotainment system using Bluetooth. Audio - Control song playing options like FM radio, disc, USB. Climate - Control Fan speed, temperature, change vent modes. 'Alerts' and 'Reminders' can be customized by the users. Store important 'Vehicle' and 'Driver'/'Personal' info. 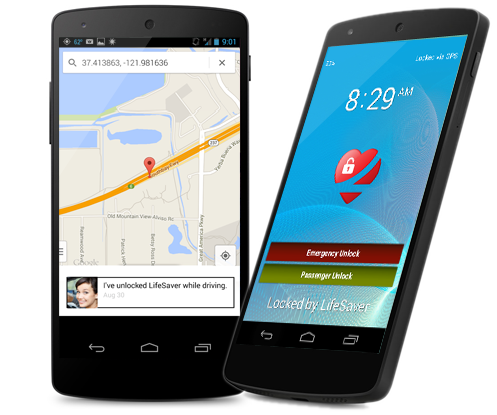 V.ALRT is an iOS and Android app developed with a view to provide safety for people. This app works with the combination of V.ALRT (a wearable device like pendant) and a smartphone. It can send alert calls or personalized text messages with a push of button to three preloaded contacts even if your mobile phone is out of reach. Initiate calls and send personalized text to your close contacts in case of medical emergency. Works on Bluetooth Smart (Bluetooth 4.0 LE) technology. Fall detection tool alerts your loved ones if you are unable to press the alert button. LifeSaver app, developed on iOS and Android platforms, serves as a medium to reduce distracted driving among teens. This app blocks a mobile phone's incoming calls while driving above 30kmph speed thus allowing the driver to stay focused on driving. Great app to save precious life! Facility to block incoming calls after 30-km speed limit. Facility to save from accidents. Accelerometer based driving detection tool. GPS to track driver's location. Real-time chat and instant messaging. Data streaming, Social Internet sharing. 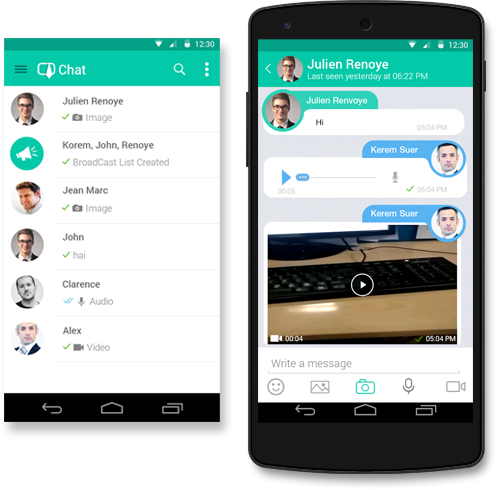 Push notifications, Audio Chat, Video Chat.